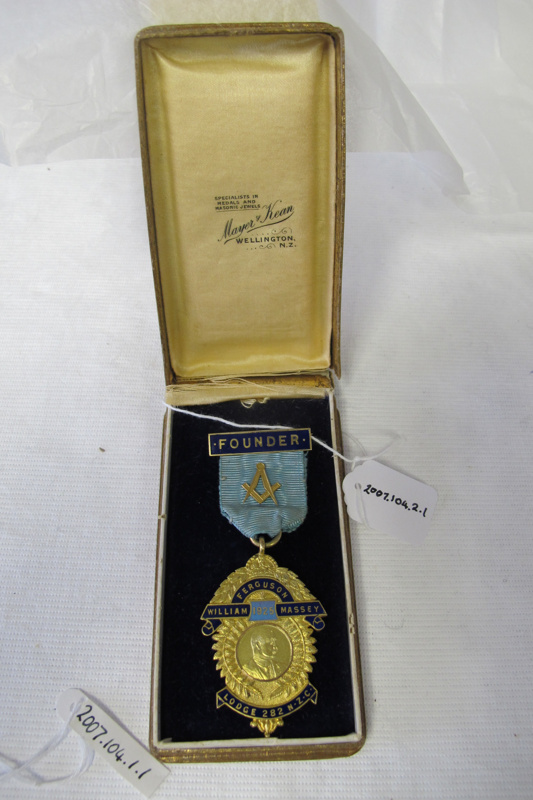 Founders Medal: William Fergusson Massey Lodge 282 N-Z-C Gold Medal. fern fronds surrounding central portrait. blue enamel banner along base with wording "Lodge 282 NZC" topped by crown and laurel branches with blue enamel banner hung from blue ribbon with Masonic Emblem and blue enamel "Founder" Bar. comes with original presentation box of brown mock leather, "Mayer & Kean" printed on cream silk interior.